Youth advocate Starnisha McClellan has long been active with Breathe Free North and NorthPoint Health & Wellness. She has testified against flavored tobacco products in Minneapolis. Here, she works on a video about menthol tobacco. This is the first of two stories on youth partners written in collaboration with Dr. Lucia Pawlowski’s Community Writing for Social Justice Class at the University of St. Thomas. The tobacco industry has long targeted youth through deceptive, insidious ad campaigns. The tobacco industry recognizes vulnerability and capitalizes on this to create life-long smokers. However, this is not a one-way battle. The same youth who have been subjected to the manipulative campaigns of the tobacco industry are now fighting back. Starnisha McClellan is a longtime member of Breathe Free North, a tobacco education program centered in North Minneapolis at NorthPoint Health & Welness. The group focuses largely on reducing the exposure of youth to tobacco products. She and Breathe Free North have been actively involved in the recent policy work. Starnisha helped lead the charge in 2015 to get restrictions on flavored tobacco products passed in Minneapolis. She helped gather data to strengthen the argument for getting this proposal passed. She also testified in front of the Minneapolis City Council in May 2015. As a result of the work of Starnisha and Breathe Free North, as of January 2016, flavored tobacco products are limited to being sold in 18-over tobacco shops only. Starnisha has been an activist since she was 11. Now 19 and graduated from high school, Starnisha is pursuing her passion and working for Breathe Free North full-time. It becomes clear where a large part of Starnisha’s inspiration and motivation come from. Another thing that makes her activism so inspirational is her community-oriented attitude. 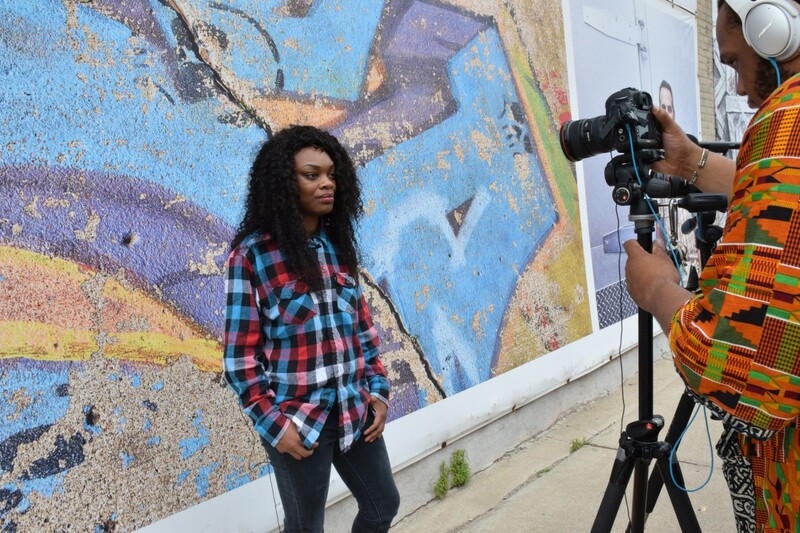 Starnisha is personally motivated by the opportunity to help not only youth but her whole community. She sees how her work has the power to reach many people and protect those in the community she lives in. The sale of tobacco products has become so engrained in the business revenue of small convenience stores that these businesses see tobacco control as a threat. Starnisha saw this reaction firsthand during her involvement in the policy initiative that ultimately resulted in the restriction on selling flavored tobacco products in convenience stores. She recalled an encounter she had with a clerk in a gas station she had been going to for years. The clerk of the gas station was aware of her activism and felt victimized by the threat of flavored tobacco products no longer being sold at the store, resulting in the clerk ultimately confronting Starnisha. Encounters like this have not deterred Starnisha from her involvement in the fight against the tobacco industry but has increased her passion and make her stake in this fight even more personal. Having had such overwhelming success in the flavored tobacco sales initiative, Starnisha and Breathe Free North are continuing the fight against the tobacco industry and are now working steadily to get the minimum age to purchase tobacco products raised to 21 years old. The work accomplished by Starnisha is extraordinary, and her achievements and activism ultimately apply to many aspects of her life, so when Starnisha stands before the legislature, or she walks by the YMCA, or she talks with her sister, she does it as an empowered activist. Sam attends the University of St.Thomas and wrote about Starnisha as part of a joint venture with ANSR.